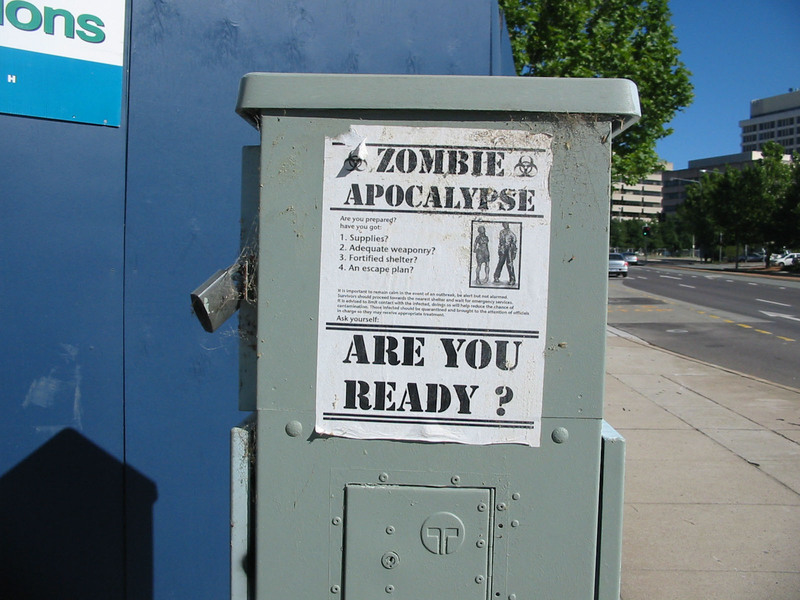 WASHINGTON – Arizona has been known to lure new residents with its favorable climate and low taxes, but three new studies may give the state a fresh appeal: zombie apocalypse survivability. Travel site Hopper and real estate search firm Estately recently ranked Arizona as a good place to be in the event of a zombie outbreak, while online real estate firm Trulia took the other tack, ranking the state as less zombie-friendly than others. In both scenarios, Arizona came out as good for those with a heartbeat. The rankings – based on such things as good-for-zombies obesity ratings and traffic tie-ups and good-for-humans gun ownership and hardware stores – are the latest in the offbeat “best of” lists that pop up regularly from companies seeking a little buzz. And Halloween seemed to get several thinking of zombies. “It’s a fun way to entertain people and get some brand recognition,” said Estately’s Ryan Nickum, who said the zombie listing got a “pretty substantial” reaction on Facebook. It’s not the first time such lists have been used to attract attention. Estately, for example, has published lists of the states with the most-immature men and each state’s most-popular cocktail. Trulia got in to the spirit of the season with a survey on prospective homebuyers’ feelings on haunted houses, but it has also put out lists of cities where homeownership was rising fastest. Hopper, a travel site, has listed the best U.S. places to celebrate Cinco de Mayo and the best cities for ribs. “We do a lot of these sort of best cities, best states for all kinds of different variables,” said Nickum, the lead blogger for Estately who wrote its zombie report. 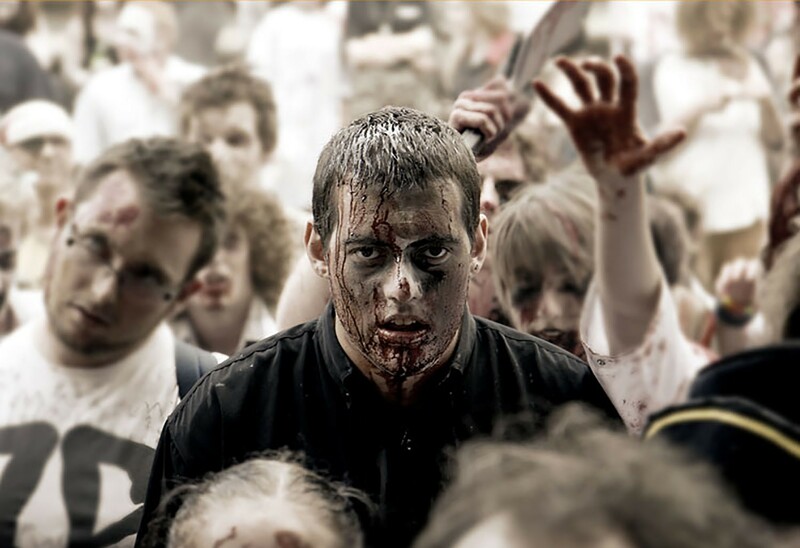 The reports are typically based on solid data from government or research organizations that is creatively applied – for a zombie apocalypse ranking, for example. The Trulia and Hopper reports both looked at numbers of hospitals, but where Hopper saw hospitals as a plus for humans, Trulia counted them as a plus for zombies, who would “have quick access to defenseless ‘food’” there. Estately gave extra points to areas where residents had above-average survival skills and zombie knowledge. 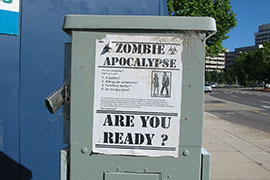 That was a big plus for Arizona, thanks to the Phoenix-based Department of Zombie Defense. The group holds regular training exercises at laser tag and paintball arenas, hiring local actors to be zombies. He said what started out as a group where people could learn survival skills and give back to the community, has attracted more than 300 members who learn those skills under the guise of zombie protection. Hayes says zombies are a metaphor for his group, which hopes to give back to the community. “If you don’t help people, you’re already a zombie,” he said. Metaphor or not, most people seemed to get into the spirit of the zombie ranking. Nickum said reaction was mixed. But talk of the undead sparked a lively discussion – just what the authors intended. 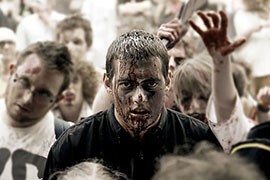 “It seemed like it really connected on a lot of different segments of America – people that are into zombies, people into popular culture and the crowd of people that think Obama is coming for their guns,” Nickum said. - Cronkite News reporter Miranda Rivers contributed to this report. Arizona would be ready for a zombie apocalypse, according to recent reports that ranked states on obesity - good for zombies - and gun ownership - bad for zombies - among other measures. Undead? Unconcerned in Arizona, which scored well on not one, but three different creatively constructed reports that ranked places on which are best for surviving a zombie apocalypse.